Produced by quilters for quilters, every issue of Quilt Now will showcase new and inspiring quilting projects, from full-size bed quilts to lap quilts, cushions, bags and accessories, all using the latest fabrics. Each issue is beautifully photographed and curated with fresh and modern color palettes. 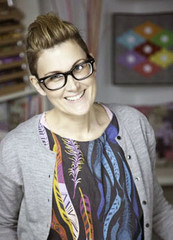 In addition to her blog and her quilting television show, Katy Jones is one of the founders of the online quilting magazine Fat Quarterly, the author of two books, and a two time Camp Stitchalot counselor! We are very excited to see her newest quilting venture. The first issue will be on newsstands in the UK in July, but if you want it, and you live somewhere that's not the UK, Pink Castle Fabrics is here to help you out! 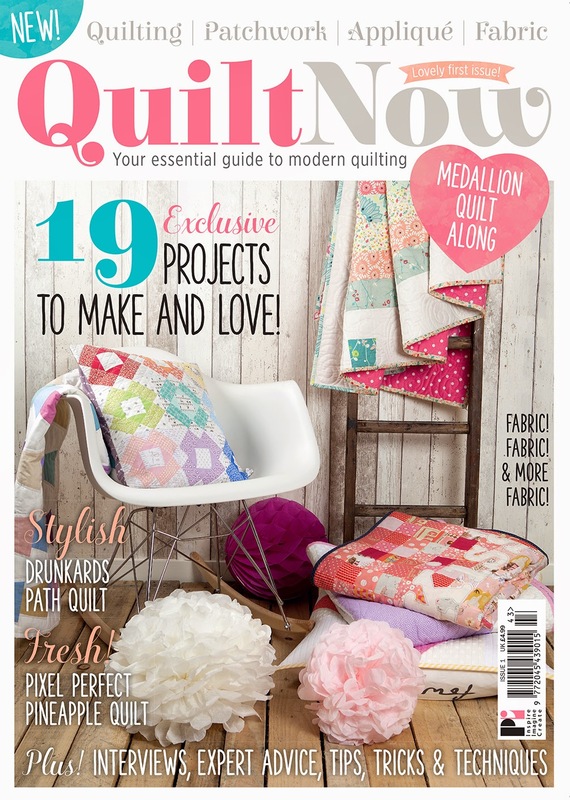 We've set up a monthly club for Quilt Now magazine, similar to our monthly fabric clubs (like stash stack club or kawaii fabric club), where, rather than getting a monthly delivery of fabric, you will receive your monthly issue of Quilt Now magazine. You can either pay per issue - $11.99 plus shipping, or buy a 6 or 12 month subscription and receive free shipping within the USA (and reduced shipping elsewhere)! "Each issue will follow a loose theme set by colour, reflecting what is current in both fabric and quilting as well as the trends from fashion and lifestyle stores. All of the projects and imagery will tie together with the particular theme of the issue, making it a visually beautiful and inspirational magazine. Issue one follows the theme of sorbet - soft pastels and fresh fruity flavours, think of lemon sherbet and strawberry ice cream sundaes in the sunshine, in the park. Issue two (out at the end of August) has a European Summer theme - vacations in the Greek Islands and beaches of the South of France, nautical fashion and cocktails by the pool. "Along with the magazine, there will be high quality free gifts every month - including cut and sew kits, notions and tools - and there may be the occasional photo or 2 of cats on quilts. Just because." Hopefully you will join us in the Quilt Now magazine subscription club!